Local Tennessee-based agency is excited to expand its reach and offer comprehensive insurance solutions to area residents and businesses. Tennessee insurance agency, FSB Insurance, is excited to announce the launch of its new website and interactive digital marketing campaign. This new and improved way of customer outreach is designed to advance the way the agency connects with, markets to, and serves its community. 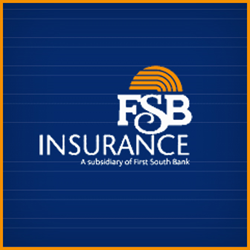 FSB Insurance, a branch of First South Bank, has partnered with Astonish to create a new, innovative online marketing strategy. This new strategy includes an exclusive “Virtual Insurance Office” meant to advance consumer engagement as well as provide visitors with an unparalleled user experience. The Astonish partnership is also designed to help the agency both find prospective clients in need of coverage and to better communicate with their current clients. With six locations that span all over the state, the agency is already well-positioned to insure a wide range of people; this new technology will only improve their customer reach. The agency’s new website, http://www.fsbins.com/, is divided into clear-cut categories, making it simple for online insurance consumers to find exactly what they’re looking for. The ultimate goal is to make the online insurance-buying process both simple and educational. FSB Insurance has coverage offerings that will give great protection to Tennesseans of all ages and income levels. Their personal lines include home, auto, life, and health policies. They can also help businesses with options like general liability, group benefits, and workers compensation insurance. FSB’s agents will sit down with customers to talk about their coverage situation. The staff at FSB Insurance is committed to building long-lasting relationships with their community, while providing comprehensive and affordable insurance to all who need it. To be part of the agency’s exciting development, fill out a free quote form online or connect with the agents on the agency’s various social media sites. Interested parties can also give the agency a call by dialing (800) 914-9625. FSB Insurance is excited to move forward and looks ahead to sharing the experience with the rest of the community. About the agency: FSB Insurance has been helping consumers all over Tennessee for over a century, expanding from a small agency to one of Tennessee’s insurance leaders. The agency started in Jackson and has expanded to include locations in Brownsville, Gleason, McKenzie, Paris, Fairview, and Murfreesboro. They are a wholly-owned subsidiary of First South Bank, and are fully committed to providing their customers with the best service possible.